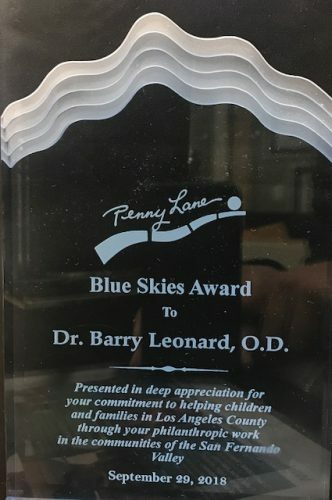 Penny Lane has honored Dr. Barry Leonard, O.D with the Blue Skies Award in recognition of dedicated service to the affairs of the community. And for the civic pride demonstrated by numerous contributions for the benefit of all the citizens of Los Angeles County. 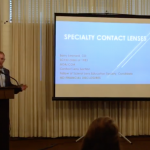 For the last 18 years, Penny Lane Centers has awarded the Blue Skies Award to individuals who epitomize what hope is about. “Despite the cloudy and sometimes, dark days, there will soon be Blue Skies to empower our youth and provide hope to our families; in that vein, Penny Lane has selected someone each year to honor at their annual event. 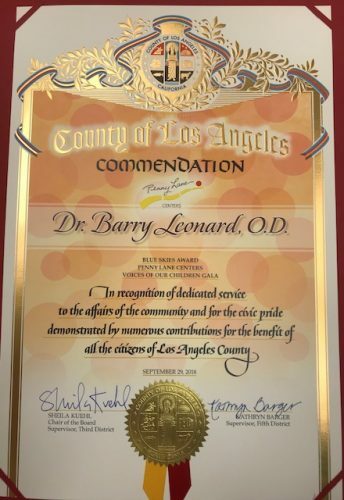 Penny Lane thanked Dr. Barry Leonard for being a wonderful role model for our children and youth.